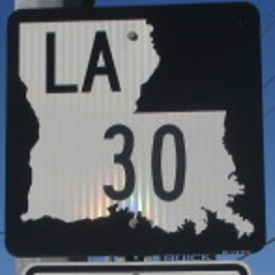 Louisiana State Route 30 runs north-south in Southern Louisiana. It runs from U.S. Rt. 61/Louisiana State Route 431, at Brittany, to Louisiana State Route 73, at Baton Rouge. Info on LA St Rt 30 is broken down by parish below.